Barcelo Hotel Group properties are located in top destinations and cities in Europe, North America, Africa, Latin America and the Caribbean. The company offers a variety of hotels and resorts to all kinds of travelers, from guests with a limited budget to travelers who seek exclusive luxury accommodations and experiences. The hotel company currently has 236 leisure and city hotels with 4 and 5 stars, and over 52,000 rooms in 22 countries, all marketed under four brands: Royal Hideaway Luxury Hotels & Resorts, an elite group of luxury resorts; Barceló Hotels & Resorts, a renowned upscale resort brand featuring a blend of multi-resort all-inclusive complexes and urban-centric properties; Occidental Hotels & Resorts, one of the leaders in all-inclusive resorts in North America with more than a dozen properties; and Allegro Hotels, budget-conscious hotels in some of the world’s most desirable locations. Several of Barceló Hotel Group's newest projects are widely considered as the most luxurious in their respective destinations, including the Barceló Maya Palace in the Riviera Maya; the Barceló Bávaro Palace in Punta Cana; and Royal Hideaway Playacar in Playa del Carmen, Mexico. 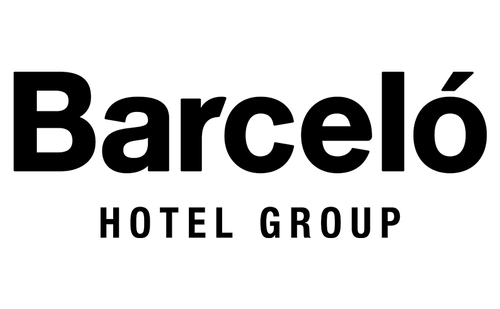 Barceló Hotel Group offers consistent high standards of service throughout its portfolio and strives to infuse each of its properties with the authentic, vibrant characteristics of its location. You will find that the resort reflects the destination. In addition to its distinctive resorts and friendly service, Barceló Hotel Group offers one the most comprehensive all-inclusive programs found at any oceanfront resort. All-inclusive rates include all activities, non-motorized watersports, snacks, fine dining and drinks. Families will enjoy the resorts’ water parks, Barcy Kids Club and a plethora of activities, including evening entertainment. Adults will appreciate the carefully crafted adults-only pool areas designed for relaxation, and most properties offer an on-site disco for guest enjoyment well into the evening.